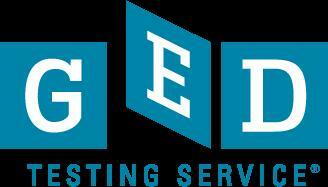 GED Testing Service is pleased to announce the following new webinars on the 2014 GED® test to be held January and February 2013. Select the link underneath each scheduled session to access the registration form of the session you would like to attend. This hour-long webinar will provide you with an overview of the key features of the new GED® test that launches in January 2014. The session will include a summary of the major similarities and differences between the current 2002 Series and the new 2014 GED® test, a review of the item types, information about test length, how the Passing Standard will be set, where the test will be given, when the new practice test will be launched, the kinds of reports resulting from the test, and more. Get grounded in the basic facts to help you get ready for what's to come in 2014! This hour-long webinar focuses on the content and structure of the Reasoning through Language Arts module of the GED® test to be launched in 2014. Learn more about the content that is the same as and what has changed from the 2002 Series, including how reading and writing have been integrated, information about the Extended Response item that replaces the current Language Arts, Writing Part II Essay, and more. This hour-long webinar focuses on the content and structure of the Social Studies module of the GED® test to be launched in 2014. Learn more about the content that is the same as and what has changed from the 2002 Series test, including the social studies content areas, the new social studies practices, the new Extended Response items that will appear on each Social Studies test form, and more. This hour-long webinar focuses on the content and structure of the Science module of the GED® test to be launched in 2014. Learn more about the content that is the same as and what has changed from the 2002 Series, including the science content areas, the new science practices, the two short answer items that will appear on each science test, and more. This hour-long webinar focuses on the content and structure of the Mathematical Reasoning module of the GED® test to be launched in 2014. Learn more about the content that is the same as and what has changed from the 2002 Series, quantitative problem solving, algebraic problem solving, the new mathematical practices, how the on-screen calculator will be used, and more. If you're unable to attend, remember that all webinar sessions will be archived on the web for your convenience. These recordings will be available for on-demand access approximately 10 days after the webinar is initially presented. You are receiving this invitation because you registered to receive updates on the 2014 GED® test at GEDtestingservice.com. Watch your email for additional invitations to future webinars as well as announcements and updates on the 2014 GED® test.